Zurich’s Powerful Women TourZürich. Your sustainable city trip. 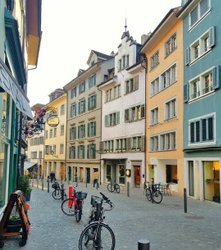 Follow in the footsteps of Zurich´s female pioneers, campaigners and politicians, who continue to shape the city today. Is it possible to drive away an army without spilling a drop of blood? That´s exactly what the valiant women of Zurich did. 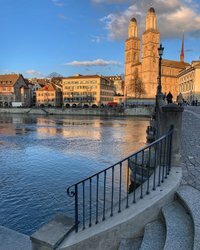 Despite considerable resistance, they helped shape the development of Zurich over the centuries – in the areas of science, culture and literature, as pioneers, politicians and advocates, or as powerful women by the sides of many a successful Zurich man. 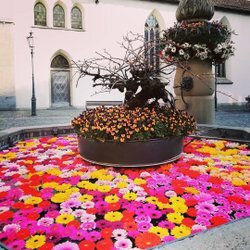 On this tour through the inner city, we visit places related to the work and accomplishments of renowned locals such as Adele Duttweiler, Franziska Dosenbach, Nadezhda Suslova, Johanna Spyri, Mileva Maric and many more. Switzerland needs strong women like these.